Indiana State University has new opportunities available for undergraduate and graduate students wanting to launch a meaningful and financially rewarding career in the nonprofit sector. The Certified Nonprofit Professional credential provides knowledge and practical experience that empowers students to find a job that matters, which is aligned with Indiana State's focus on post-graduation job acquisition, according to Nathan Schaumleffel, associate professor and campus executive director of the Nonprofit Leadership Alliance Certification Program. Certified Nonprofit Professionals work in careers in all nonprofit subsectors: faith-based; youth, human, and social services; environmental and conservation; animal rights; fine, performing, and studio arts, humanities, and cultural; educational and historical; health and medical-related; and international non-governmental organizations. "The Nonprofit Leadership Alliance has always been an effective pipeline to a job for college graduates," Schaumleffel said. "The mission of this academic program is to strengthen the social sector with a talented, prepared workforce. The program is based on a nationally validated set of learning outcomes and competencies developed by executives in the nonprofit sector. 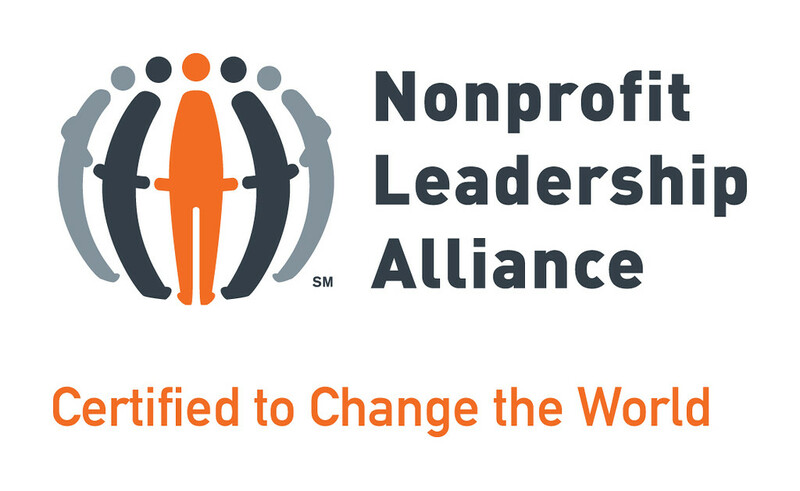 We are teaching the skills that employers want and the alliance provides resources to Certified Nonprofit Professionals across their entire careers." Schaumleffel said the Alliance has invested tremendous resources in new software that allows students to apply for internships and jobs with all national nonprofit partners using LinkedIn. The national office has also developed the Association of Certified Nonprofit Professionals, alumni from all campus partners. Students pursuing certification are given networking and job opportunities, as well as post-graduation career opportunities. "The Nonprofit Leadership Alliance Certificate Program has given me a better understanding of how nonprofits work and what it takes behind the scenes of an organization," said Emily Calvin, senior public health major. Indiana State's certification program has been in place since 2001 and has been recognized nationally. It received the 2013 Sprint Campus Partner of the Year Award as the top nonprofit leadership and management academic program in the country and the 2009 Outstanding Student Recruitment Benchmark Award from the national office. In 2015, the Wabash Valley District, Crossroads of America Council, Boy Scouts of America was recognized as the alliance's National Nonprofit Partner of the Year because of its strategic partnership with Indiana State. With all of the program's and student success, Schaumleffel said, the Indiana State program "has evolved tremendously" to include more nonprofit-specific courses, including RCSM-440: Volunteer Management, RCSM-446: Nonprofit Program Evaluation; RCSM-483: Fundamentals of Fundraising, and RCSM-489: Advanced Nonprofit Administration. Most importantly, he said, the program is undergoing significant changes because of academic assessment requirements from the national office. As a result, the curricular model that has been in place for the last decade, the interdisciplinary non-degree curriculum, is being phased out this academic year. The national office has traditionally required four things for students earning certification: 1) course work; 2) leadership and service experiences in the Nonprofit Leadership Student Association; 3) participation in the Alliance Management Institute (AMI - national conference); and 4) a 300-hour nonprofit sector internship. There are now three degree paths for students to earn the Certified Nonprofit Professional credential. All ISU nonprofit leadership curricula build the four national requirements into the curriculum. The paths undergraduate students can take include minoring in Nonprofit Leadership, which eliminates one Foundational Studies requirement for one of the two Upper Division Integrative Electives and can count for the University Honors Program's Leadership and Civic Engagement Concentration. Students also can earn a Bachelor of Science degree in recreation and sport management with a concentration in Nonprofit Leadership. Both paths are available in the undergraduate catalog, as well as ready to be added to students' worksheets in MySam. As with any major change in a student's course load, Schaumleffel said those wanting to earn the certification should first meet with their assigned academic advisor and work with him or her to add the minor or to change majors on MySam. Then, the student's MySam plan should direct the student to take RCSM-150: Introduction to Nonprofit Leadership and Management in the upcoming fall semester. Lastly, students need to log-in to their MyISU portal and access the OrgSync/Treehouse app to join the Nonprofit Leadership Student Association, the Association of Fundraising Professionals Collegiate Chapter, and the Autism Speaks U Collegiate Chapter. Graduate students can earn a Master of Public Administration with a concentration in nonprofit leadership through distance education. Hannah Willocks, senior human resource development major and business administration minor. According to a LinkedIn study, college graduates who have earned the Certified Nonprofit Professional credential are seven times more likely than college graduates who are not certified to reach a director-level or higher position in a nonprofit organization. The same study also found that those with certification remain employed in the nonprofit sector 50 percent longer. "This is powerful evidence that it is worth doing a little bit of extra work to earn the Certified Nonprofit Professional credential," said Schaumleffel. "The experience and knowledge you gain in this program cannot be achieved without this program. Recruiters and organizations recognize that," said Willocks. Faculty, staff or students with questions about program changes or who are interested in one of the degree paths for earning the Certified Nonprofit Professional credential may contact Schaumleffel at Nathan.Schaumleffel@indstate.edu. Contact: Nathan A. Schaumleffel, associate professor and campus executive director of the Nonprofit Leadership Alliance Certification Program, Nathan.schaumleffel@indstate.edu or 812-237-2189.